For some of us, unfortunately, lunch hour is the only time of the day to slot in an hour of cardio. 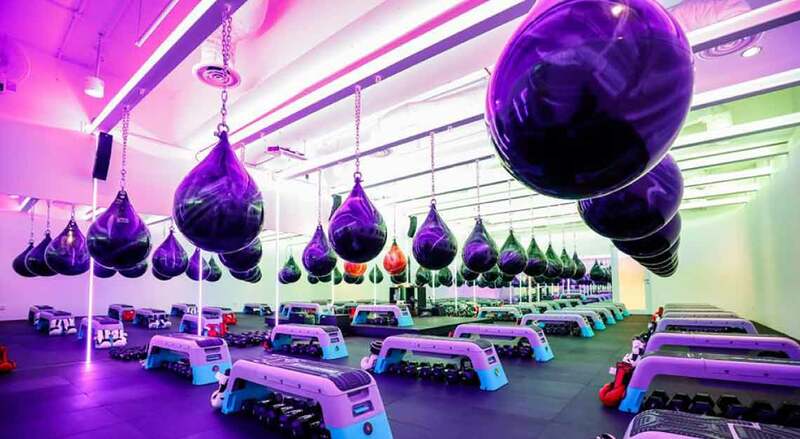 Thankfully, plenty of gyms in the city offer quick workout classes for city-dwelling hustlers – so time is no longer be an excuse for you to not sweat it out. But instead of just skimming the treadmill at the boring office gym, switch up your routine with these lunchtime workouts that will help you burn calories and have fun at the same time. And it goes without saying, rally your office pals for the additional support you’re going to need. 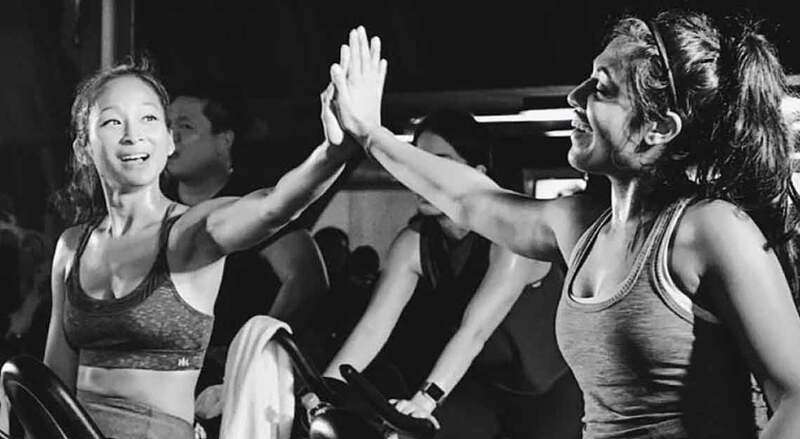 Absolute Cycle’s signature 45-minute, New York-style rhythm cycling class – also known as a spin class – has proven to be one of city’s trendiest workout regimes. 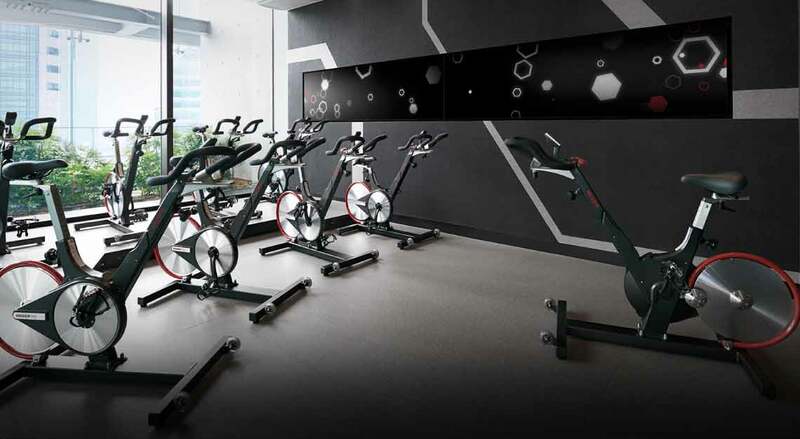 Hop onto a stationary bike at either of the studio’s two locations and pedal to heart-pumping beats without worrying about losing your balance. The high-intensity cycling workout will also incorporate hand and body movements, keeping your various muscle groups in check. Offering classes that last between 30 minutes and an hour, this cosy studio caters to barre newbies, experts and in-betweeners. Trying barre for the first time? We recommend the 50-minute BarreAmped Mixed Level class, a hands-on personal group training session that will leave you feeling calm but energised at the end. Had a less-than-stellar-morning at work? Vent that frustration on a punching bag at Boom Singapore. The gym’s signature 45-minute workout is suitable for novices and fitness buffs alike, and focuses on the fundamentals of boxing to help develop strength and agility in all your major muscle groups. In group classes, every participant is provided with their own boxing bag and weight station to allow for a holistic workout. Yoga heads who are always down for a challenge may like to opt for Gravity’s 60-minute Dynamic Yoga classes on the 38th floor of CapitaGreen. The class helps build stamina and strength through a series of intense yet invigorating poses. 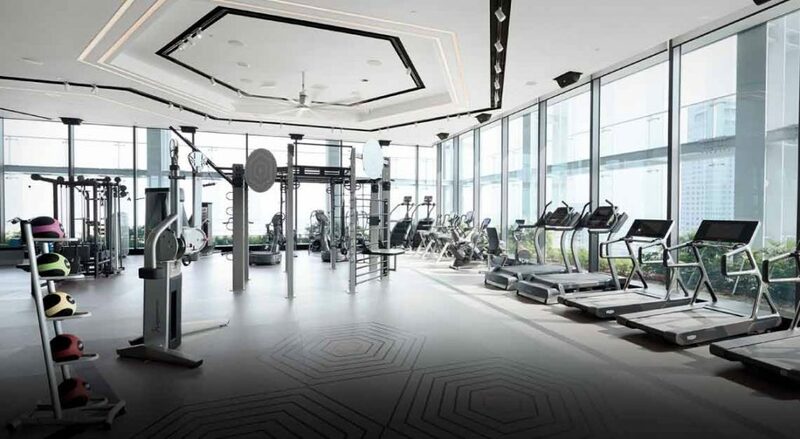 Afterwards, enjoy a dip in the gym’s temperature-regulated infinity pool or Jacuzzi on the rooftop floor to reinvigorate both mind and body before tackling the rest of your day. 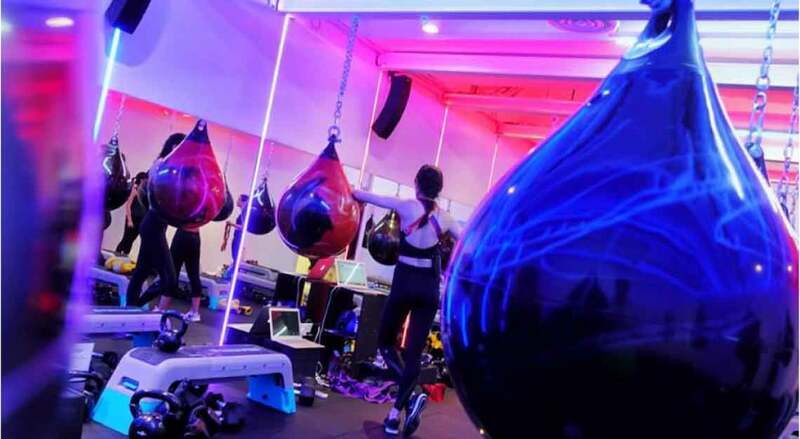 You’ve heard of Muay Thai and may have survived a few HIIT sessions before, but Neue Fit has combined the best of both workouts into one. Its Muay HIIT programme is designed for those who want fundamental Muay Thai techniques and the intensity of a HIIT workout. Not for the weak-hearted, the 45-minute, non-combat class will push you to your limits, as you perfect jabs, roundhouse kicks, push-ups and lunges and other combinations. Focus…. on getting that peanut butter smoothie after you kill the workout. Ritual has grown in popularity among gym buffs with limited time – each session here is only 20 minutes in length. 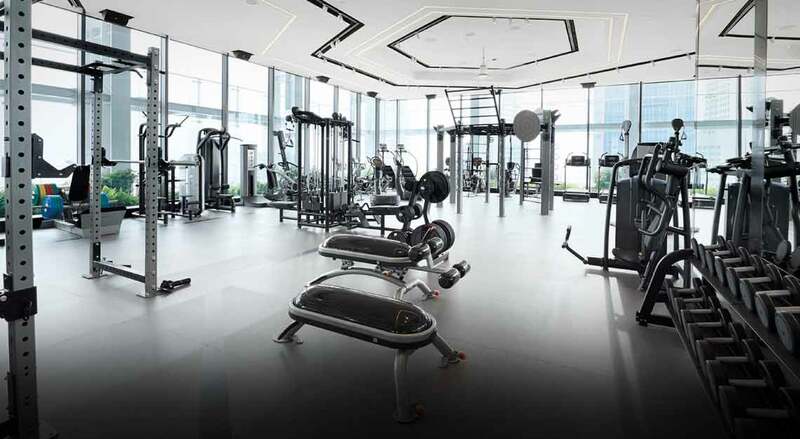 Step into any of its three locations and you’ll notice the absence of machines; Ritual only relies on free weights and bodyweight movements, as these are more time-efficient than using a different machine for each muscle group. More importantly, these allow the body to build its strength based on how it’s designed to move. If regular yoga is too passe for you, then stretch those muscles out at one of Virgin Active’s AntiGravity Aerial Yoga classes – the studio’s most popular lunchtime workout. Using the Harrison hammocks, you’ll be guided through a series of advanced yoga poses and sequences that aren’t suitable for beginner yogis. The hammock offers support that will help you improve your posture and correct your body alignment.